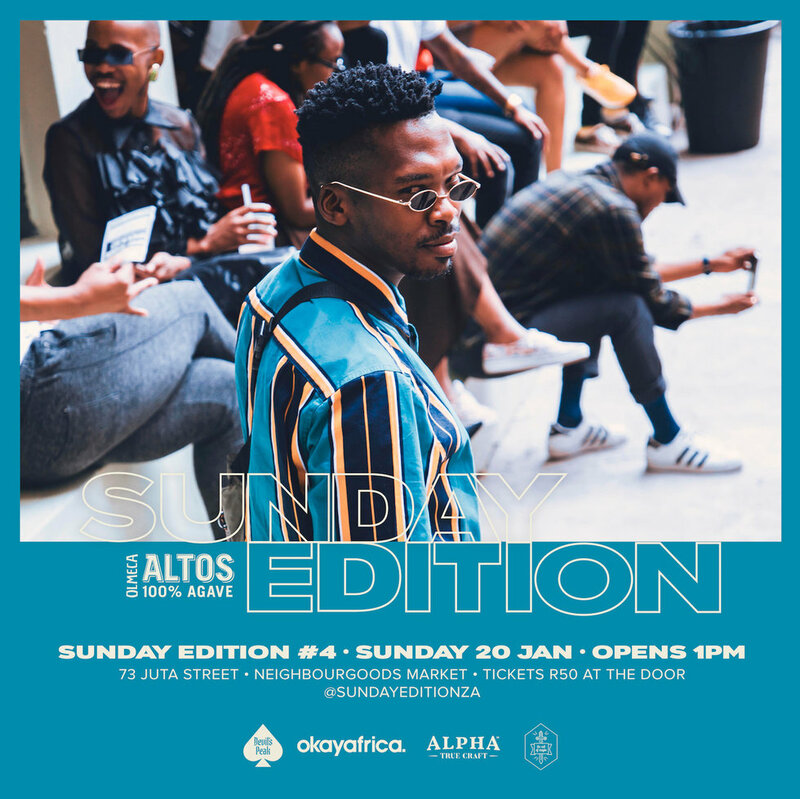 After a successful first three events, the fourth installment of the Sunday Edition event series, in partnership with OkayAfrica, is taking place this Sunday at Neighbourgoods Market in Braamfontein, Johannesburg. The event presents a curated offering of music, art, food and fashion. It's a celebration of the city and urban culture. An essential showcase of Joburg's street food scene offers the city's boldest and brightest street chefs and hole-in-the-wall restaurateurs. Rooftop bars supply beer buckets, crafted cocktails and Altos Tequila specials, and an open-air dance floor at the center of it all. More details about the event on the poster below. Tickets will be sold at the door for R50. Keep up with Sunday Edition on Facebook.